When you decide to go on a tour with semisubmarine, you are able to choose between the tours that last 30 or 45 minutes. In our longer tour, you can see our underwater park that has been built especially for underwater sightseeing. Park is made of replicas of roman amphorae, autochthonous Krk’s vessel, wooden treasure chest, stone cannon, statues of octopus and ray, as well as the saint Kvirin – the protector of Krk about whom you can find out more in a separate article. Roman era in town of Krk has been marked by town stone walls, the remains of the Venetian Temple and many stone barrels of the long and narrow door with two peaks and a spit bound bottom that we know as amphorae. Amphorae can be used for transportation and preservation of wine, oil and honey while their specific shape has been created to adapt to the needs of shipping. Today, amphorae are used for decorative purposes, and in our park you can see some beautiful replicas. 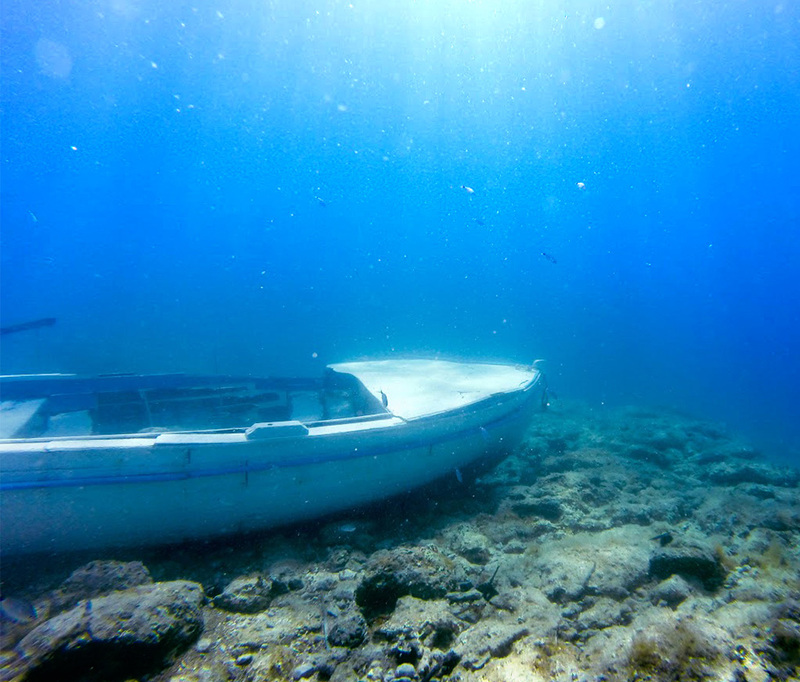 The locals in Krk were originally engaged in fishing and they used traditional Croatian boats called Pasara and Guc. 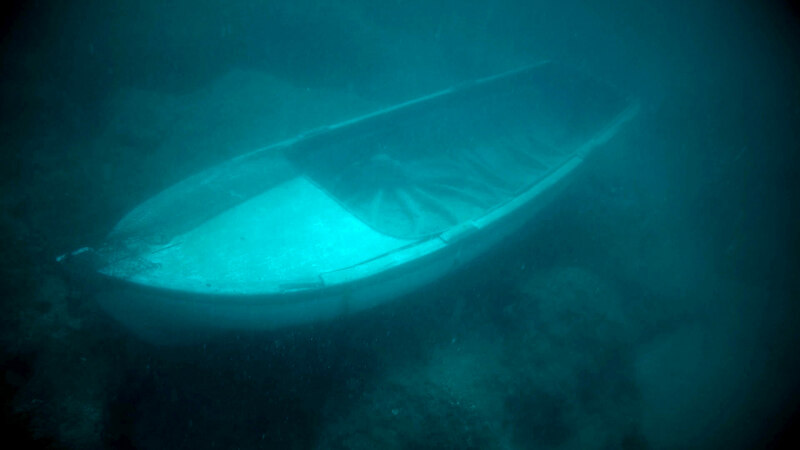 Guc is a smaller, rounded hull boat with bow and leg spikes that are symmetrical, with one pair of oars and originally with a moss with a Latin sail. Pasara is very similar to the guc, the only difference is the stern that is in the pegs straight. In the photo you can see the traditional pasara from our underwater park last summer, but because of the strong south wind blowing in the winter, every spring we add another traditional vessel. The octopus sculpture shows an animal often inhabited in this area, but it is often harder to notice it as it lives on rocky shores and most of the time is carried out in holes or slopes of rock in shallow water. The octopus has 8 arms with which it can reach a length of up to 3 meters. It swims and sneaks at the bottom of the cranks, and when it runs away, it moves backward. It is a surprisingly intelligent marine animal – it can change the color of its body and thus adapt to the environment, so that is why we decided to add it to our park. Ray is a fish that is characterized by a much flattened body and widened pearls that lie entirely from the side of the body, which contributes to the body appearing even wider. They have a leaf shape and are often referred to as sea leaves. 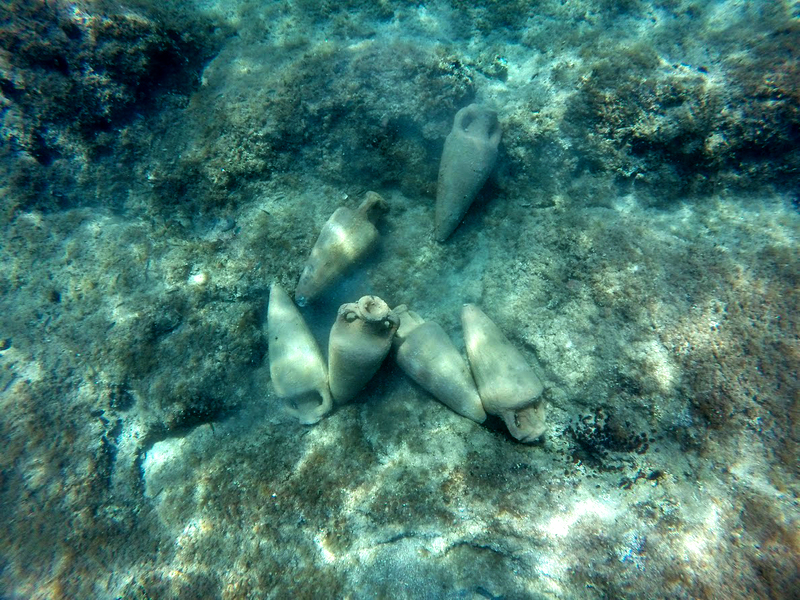 They move around by moving their chest palms and are very slow, so they spend most of the time in sand on the seabed. Their tail is very elongated so in most species it looks like a snake tail. 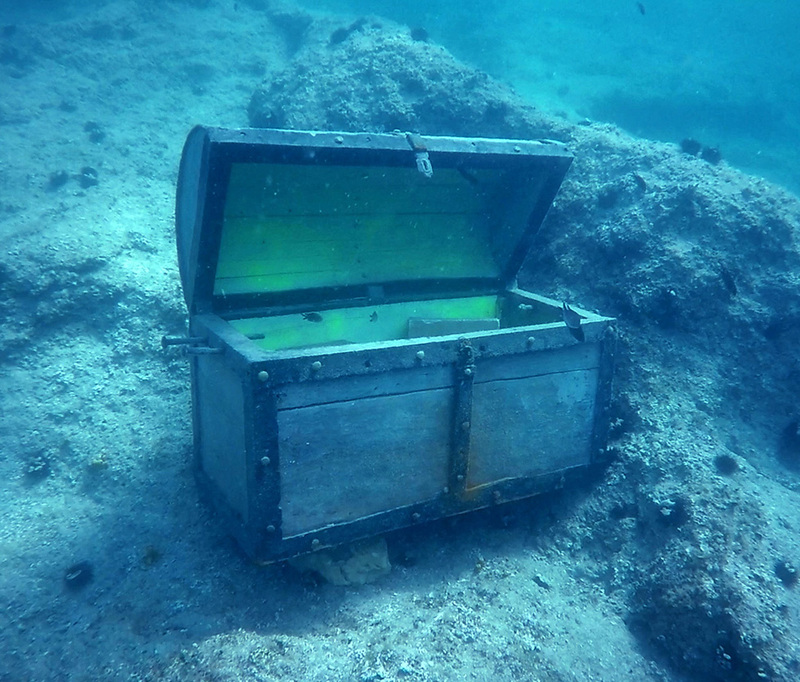 Buried treasure is an important part of popular myths surrounding pirates. Namely, the pirates would rob the treasure from other ships and then stored it in locked wooden chests that would be buried on land or in the sea for no one to find. In order to find it themselves later, they used the maps they have previously designed and encrypted in case the card ends in the wrong hands.